This is Science Fiction and Fantasy Publications’ first ecliptic collection of short stories with the underlying theme of Lost Friends. The Unbound Anthology series started with over 100 submissions. Over time we laser-sliced that down to 27 and asked seven avid readers to help us pick the last few. After half a year, the anthology is now ready for publication. And now it is in your hands. We take you on a wild ride to Mars, introducing a sleeping beauty, to the far side of Psyche. Your ride will be in a new moon lander that will run you past blood on a horizon. After all this you will fall in love to only be trapped dirtside. Sit back and enjoy the scenery while this rollercoaster takes you up and down the rails of losing a friend. 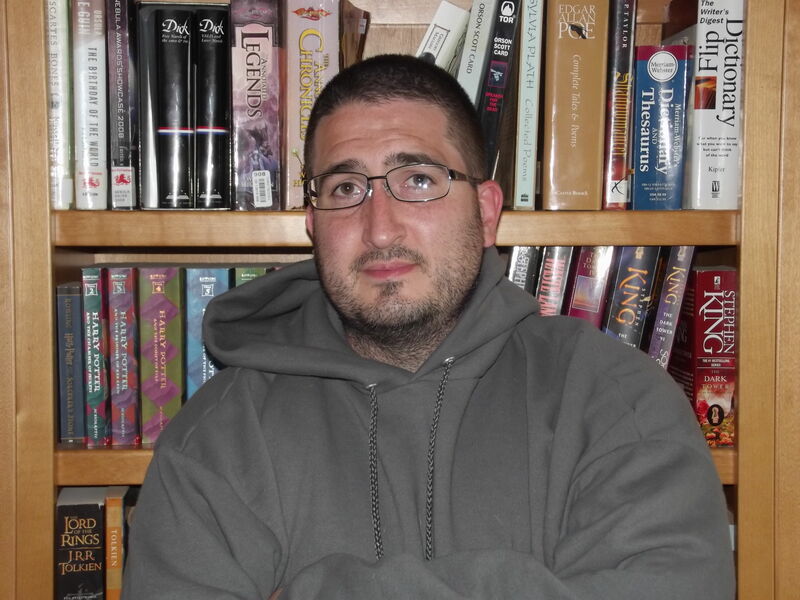 I had an opportunity to speak with several of the participating authors, as well as the lead editor, Douglas Owen, of the anthology UNBOUND I: Lost Friends to ask them a bit about their writing and the anthology. What were the most challenging aspects of bringing your story/book to life? The actual writing; Creating the story is easy, but putting it into words, the physical process of writing is a time intensive mind numbing process. Staying focused. I write a lot of stories and poems at the same time. I put a dozen oars in the water and let them stir. While this is fun, it also makes staying on top of a single project, finishing the first draft, then revising into its best form difficult. My biggest challenge is knowing when to stop tinkering with a story. Revisions could literally take a lifetime, if not kept on a leash. Bringing this anthology to life posed many different challenges. One of the hardest was picking among the mass of submissions to find those that were the best. Many stories just missed the cut by the slightest margin, and without taking anything away from those writers, we needed to pick the best, most concise stories available to us. Who is your favourite character? Can you describe for us an interesting moment in the development of this character? Iggy. He embodies Kantian philosophy… Through the sheer act of thinking he becomes real. He is an android and only when he is forced to think on his own does he begin to comprehend what it means to be real and to exist. Sola Pyne is my favorite. The most interesting moment for me was working out the details of who Sola is and where she comes from. She says she’s the only one of her kind, and when I wrote that sentence I had to pause from the writing and really think about what it was she was saying. She has no parents, no kin. She is truly unique. For a long time I didn’t know what to do with that. My favourite character in this story is probably Cody. Although Janet undergoes the most significant change, Cody represents a reserved, mysterious intellect that can never be fully understood by humans. Some of his most interesting moments come while he’s still in captivity, since it’s not entirely clear just how much of his situation he understands. For the most part, two characters stood out in the anthology. Samuel, the main character of The Awaking of Sleeping Beauty pulled at me the most. Not to discount Fafael from Extra-terrestrial: A Love Story, for the blight of that character really fetched me to the story as well. I’m not so arrogant to pick Craig, the protagonist of my own story, but he is close to the lump of coal most fellow writers call my heart. To see the full interview for each author just click on their name below. Dorian DeWeerd – Dorian writes from Michigan where he lives with his cat, Rami. His stories strive to question the nature of human behavior. He is intrigued by human interaction. 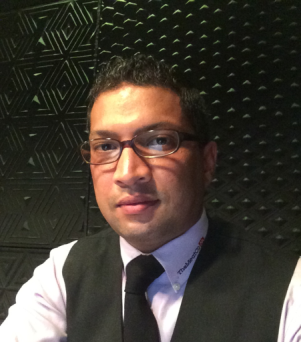 Derrick Boden – Derrick is a recovering software developer that has taken up story writing to kick the habit. He’s recently made New Orleans his home, although he’s lived on four continents and is an avid traveler and adventurer. Short Stories are the backbone of a writer. They sharpen their teeth on prose of diminutive size and create worlds with so little words that we are all astonished. But not all short stories are published. In fact, many never see the light of day. That is, until now. 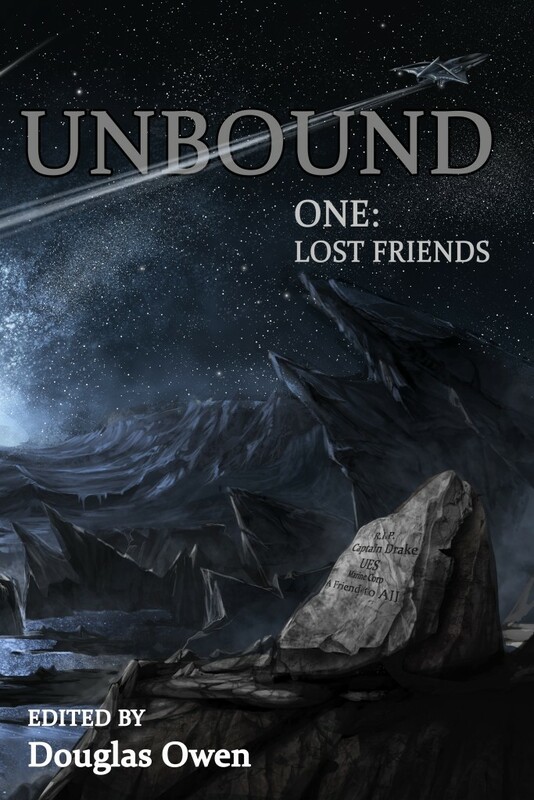 With a desire to seek out the best in short science fiction and fantasy, the Unbound series challenges the best of writers to produce a theme based short story. Lost Friends, our first theme, is set out to show that everyone can feel the lose of someone close to them. And as we experiment with words in our fledgling anthology, we must all remember the loss of a loved one is harder to take when they are all we know. Also available in book stores worldwide.